I have an Incra master Lift II and it has the magnetic insert plates that are the best thing since sliced bread…but now that sliced bread has become even tastier with the new Incra Clean Sweep Inserts. 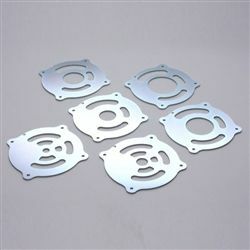 I bough a set of these last week because I like the idea of them eliminating most of the dust and chips that always occur with pretty much all router plates…sure seemed like a good design idea when I looked at their video. So, I bought a set and used them in my router table as soon as they arrived since I was just getting ready to do some router work with a 1/2” spiral bit…perfect timing…they work great as expected…because everything I have ever purchased from Incra has exceeded my expectations. another great accessory from a 100% American Made product. Those look nice…not a fan of plastic..
Greg, I have the same lift and have contemplated buying this set as well. What are you using under the table for dust collection? Do you have a box that surrounds the router? They have a clean sweep box as well but I can just make one. Pics would be great if possible. Matt…I would definitely recommend getting these plates as they really make a difference. Here is a link to my Lumberjock page with the router table I built. It hardly seems like it was 3 1/2 years ago that i built it. Incra is just a few miles from my house, so I get the privilege of picking my stuff up from them directly and usually sneak into the “war room” to see what they are working on next. If you make it to Dallas it is well worth it to go by there and try to see Perry. You will walk away smarter than when you went in. Silly…I hope to get to visit Incra one day soon. I have spoken too Perry several times and enjoyed our conversations. I am applying to shows in the Dallas and Ft. Worth area and if get juried in and get into the shows I will most certainly stop by Incra. I have a good bit of their products and every one is very impressive quality.